Palestinian and international cyclists were brutally attacked by the Israeli occupation forces on Saturday as they attempted to bike up Route 90, the main North-South highway running through the Jordan Valley. The cyclists were demonstrating against Israeli apartheid policies in the Jordan Valley, which limit Palestinian access to roadways as part of an ongoing campaign of ethnic cleansing against the indigenous Bedouin communities of the Valley. 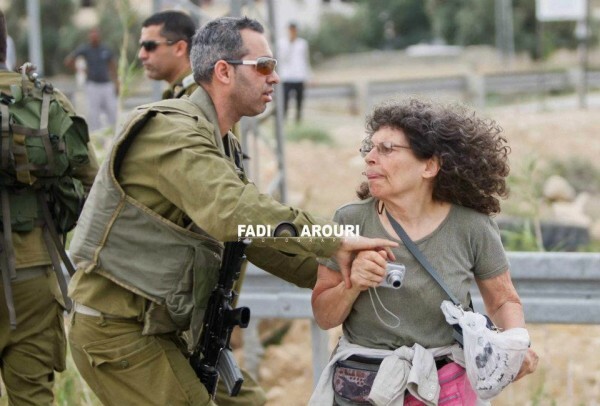 One Palestinian woman and two international activists from Denmark and Holland were evacuated to the hospital with injuries after being struck in the head with an M-16 rifle, and one international activist was handcuffed and detained for over an hour before being released without charges. Over one hundred activists from Palestine and around the world participated in the bike protest, organized by Sharek Youth Forum. Participants rode approximately 5 kilometers before being blocked by Israeli occupation soldiers and jeeps at the entrance to Route 90. 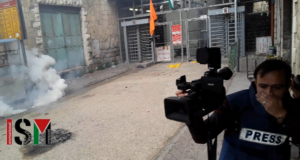 Soldiers informed the bikers that they would not be allowed to continue “for their own safety.” When activists peacefully attempted to continue on their way, the local commander of the occupation forces swung his rifle at the head of multiple activists, resulting in the hospitalizations of the three activists and the detention of a man from Sweden. Palestinian drivers on Route 90, the Jordan Valley’s main north-south route, face regular harassment and attacks from Israeli settlers and soldiers. Palestinian drivers and cyclists are frequently pulled over and searched for no reason, and in some places Palestinians are even prevented from turning across the road at places Israelis have free access to. The Jordan Valley faces a concerted Israeli campaign of ethnic cleansing towards the Palestinians living there. Demolitions of homes occur with frequency, and the Israelis are currently stealing the vast majority of the valley’s land and water. The majority of the fruit and vegetables produced on this stolen land are exported to Europe and North America. The bike demonstration was part of a day of demonstrations and festivities that included visits to villages, a youth dubke performance, and speeches. The events aim to send the message to the world and the occupying forces that the people of the Jordan Valley and Palestine refuse to cede their land to the illegal occupation and will continue to resist and remain on their land. Joseph and Emiliano are volunteers with International Solidarity Movement (names have been changed).